ABU DHABI // Officials are celebrating the birth of two houbara chicks in Jordan as another indicator of the success of the International Fund for Houbara Conservation program. The chicks were recently observed in western Jordan by the field teams of the Royal Jordanian Society for Nature Conservation. Earlier this year, the team also spotted a nest of houbara in Wadi Rum. These constitute a good indicator of the successful adaptation of these birds and their potential for re-introduction in areas from which they have disappeared in the past. About 1,300 houbara that were bred in captivity have been released in different parts of Jordan by the International Fund for Houbara Conservation, an initiative of Abu Dhabi Crown Prince and Deputy Supreme Commander of the Armed Forces, Sheikh Mohammed bin Zayed, who is also chairman of the IFHC board. The birds were released into the wild across Jordan in 2014, 2015 and 2017. Some of the birds have been equipped with satellite and radio tracking devices. Mohammed Al Baidani, director general of IFHC, said the birds produced by the breeding centers in Abu Dhabi, Kazakhstan and Morocco adapt to wildlife and contribute to the re-introduction of vulnerable species, thereby increasing their populations in different parts of the international habitat of houbara. To date, these efforts have resulted in a survival rate of between 57 to 80 percent during the birds’ first year in the wild. IFHC’s reproduction centres in the UAE, Morocco and Kazakhstan have resulted in 53,000 houbara annually. 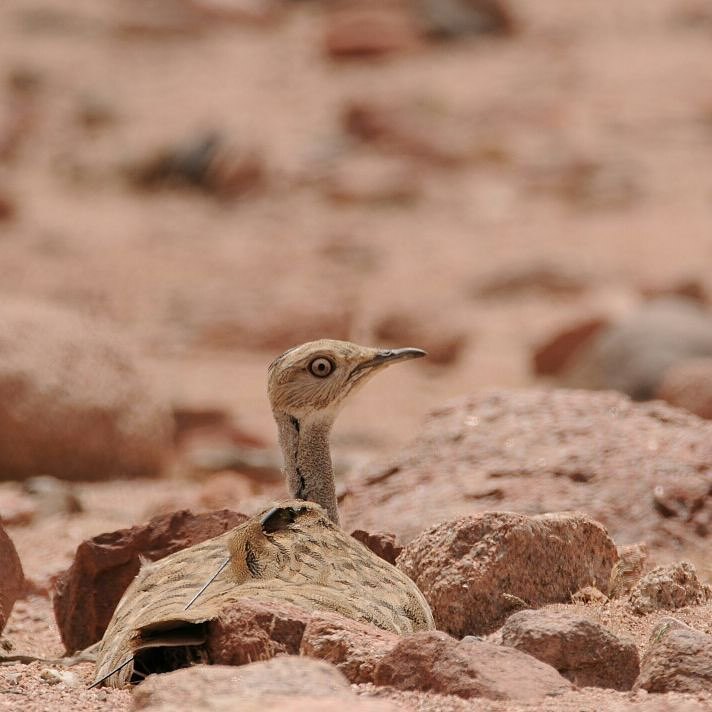 The project is being implemented in the framework of a joint cooperation agreement between the UAE and Jordan for the establishment of viable population of houbara in their natural habitats in the kingdom.